silver anodized alloy rims. Alloy hubs. 3/8" BO, or 9mm QR front, 3/8" BO or 10mm rear. Rear available in 6/8-speed FW or Shimano RM-60 8/9-speed cassette. Silver DT stainless steel spokes. WHEEL AL 26 FR BO 3/8" SIL 36H ALEX Y2000 STA-TRU. silver anodized alloy rims. Alloy hubs. 3/8" BO, or 9mm QR front, 3/8" BO or 10mm rear. Rear available in 6/8-speed FW or Shimano RM-60 8/9-speed cassette. 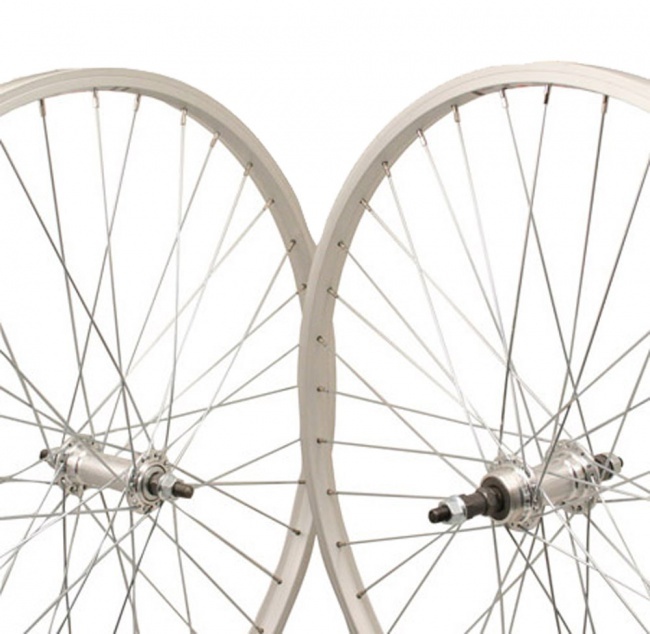 Silver DT stainless steel spokes.